Seattle is made of scenery. Mountains, skyline, water: This city has it all. 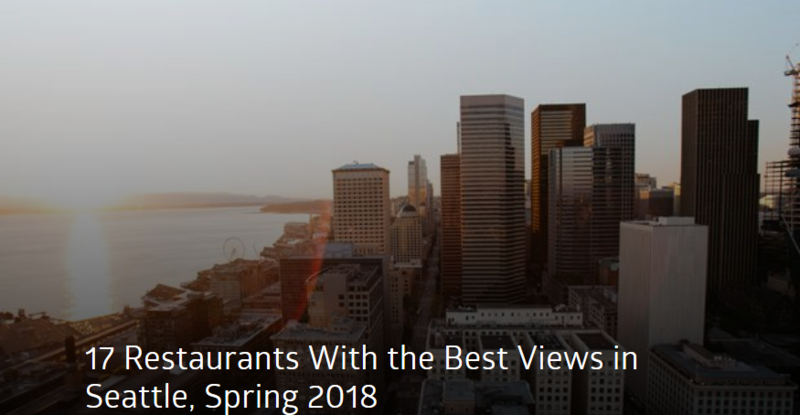 And when it comes to views, here are the restaurants that occupy choice real estate — overlooking the likes of Mount Rainier, the Space Needle, Puget Sound, and Lake Union. A selfie stick is highly recommended.